William Waties Jr. obtained a grant for 500 acres along the Pee Dee River and eight months later, he received a second for an adjoining 80 acres (3, p. 349). William Waties Jr. obtained a total 4,289 acres. From these lands, Exchange Plantation as well as Glenmore Plantation, Belle Rive Plantation, Hasty Point Plantation, Breakwater Plantation, and Rosebank Plantation would be formed (3, p. 349). The original old house is still standing. A portion as large as the original house has been added. 1743  Waties passed away and his son Thomas Waties became owner (3, p. 349). 1762  Thomas Waties' will stipulated his property was to be divided five ways among his wife and four surviving children (3, p. 349). 1794  A plat of this year shows the Waties brothers, Thomas and John, as owning the property of Exchange (3, p. 350).
?  An undated plat recorded Levi and Moses Myers as owning the property formerly of "J. Waties" (3, p. 350). 1819  Davison McDowell purchased the plantation from Moses Myers for $1,904.75 (3, p. 350). 1821  Davison McDowell sold part of his plantation to Samuel Smith, who quickly sold the same piece of property. This tract would become Rose Bank Plantation. McDowell retained 400 acres and called his plantation Asylum (3, p. 350). 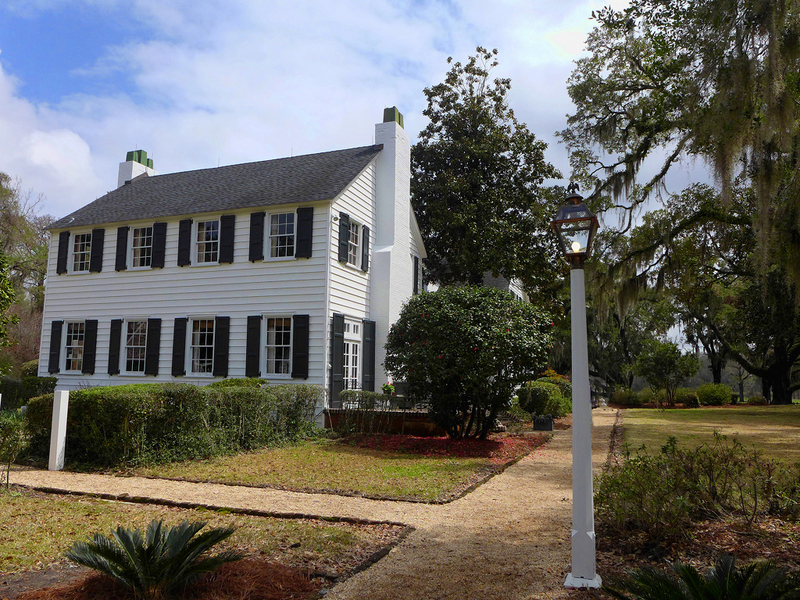 Circa 1822  McDowell married Mary Moore and she requested improvements be made to the house. McDowell proceeded with these improvements but Mary passed away in April 1823 (3, p. 350). 1827  Davison McDowell married Catherine McCrea Witherspoon (3, p. 352). Prior to January 1837  McDowell sold Asylum Plantation to Dr. Paul Weston. 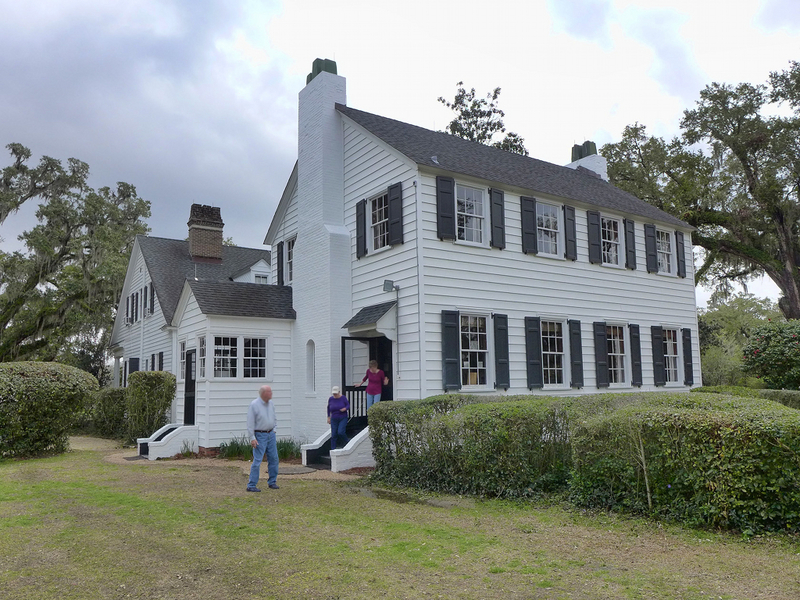 McDowell had previously purchased and moved to Hasty Point Plantation (3, p. 352). 1837  Dr. Weston died leaving the plantation to his son Francis Weston (3, p. 352). 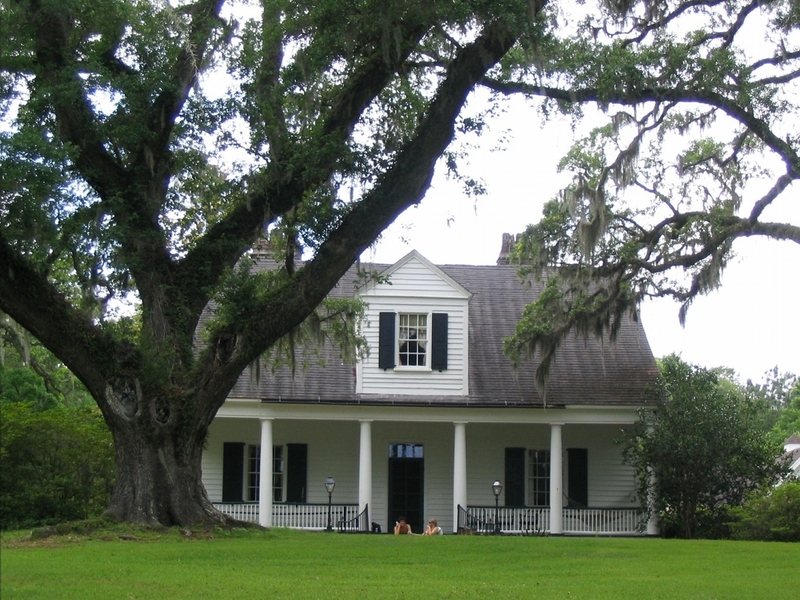 1843  Robert F. W. Allston purchased the plantation from Francis Weston. Allston is most likely the person that changed the name of the plantation from Asylum to Exchange since this is the name he used in his personal writings. Allston increased the size of Exchange Plantation by purchasing 117 acres of Breakwater Plantation (3, p. 353). Interesting, after selling Asylum, Weston then purchased Hasty Point Plantation from the heirs of Davison McDowell who had died in 1842 (3, p. 353). 1846  Allston sold the plantation to Cleland K. Huger (3, p. 353). 1853  Robert F. W. Allston purchased Exchange back from Cleland K. Huger for $25,000 (3, p. 353). 1864  Robert F. W. Allston died willing the plantation to his daughter Elizabeth Waties Allston. Elizabeth never took ownership of the plantation as the Allston family was left in financial peril after the Civil War. The family was unable to pay the debts of the estate so Exchange was put up for sale (3, p. 353-354). 1869  Robert F. W. Allston's son Charles Petigru Allston purchased the plantation. It appears that Charles and his brother Benjamin jointly operated Exchange Plantation as a partnership (3, p. 354). 1878  The Allston brothers divided the property with Benjamin keeping the property on the west bank of the river which included the house (3, p. 354). 1887  Benjamin sold his Exchange holdings to Elizabeth C. Ford (3, p. 354).
?  Thomas S. Ragsdale purchased the plantation (3, p. 354). 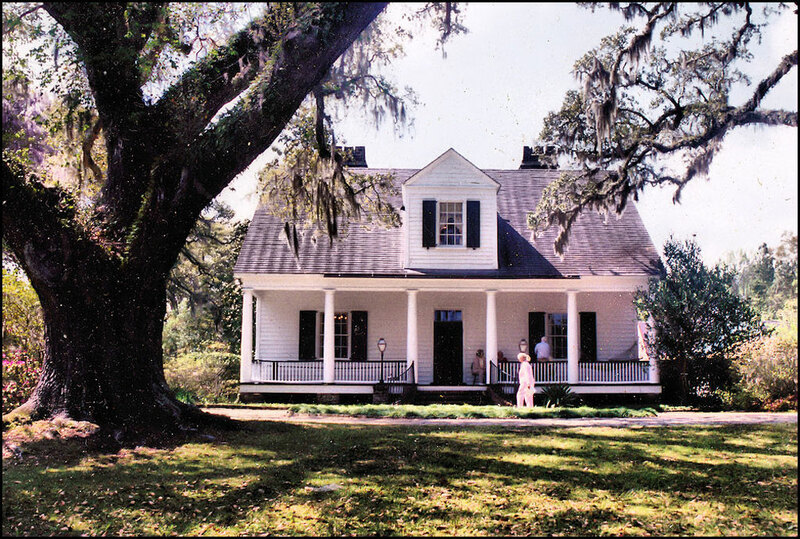 1945  Thomas S. Ragsdale acquired Rosebank Plantation and rolled it into Exchange Plantation at this time (3, p. 346). 2001  Ragsdale's grandsons T. Smith Ragsdale III and Charles S. Ragsdale owned Exchange (3, p. 354). 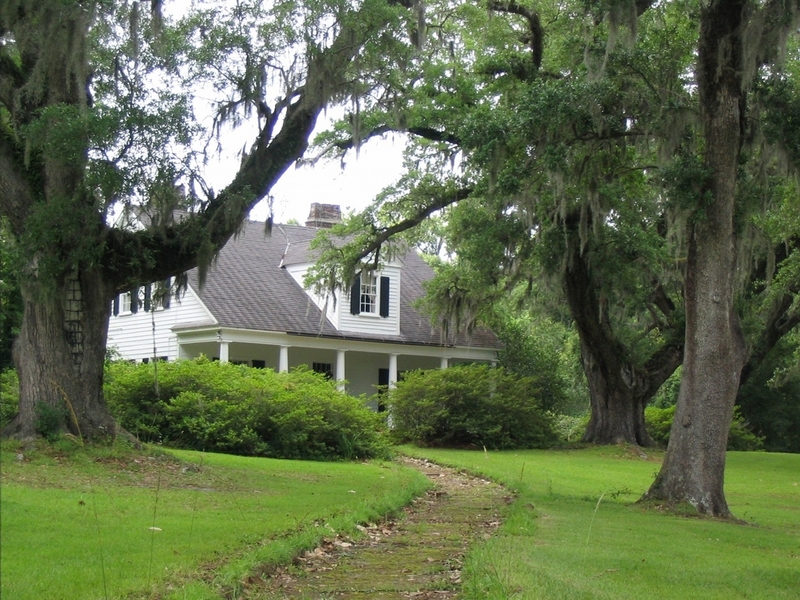 2004  The plantation was owned by Mrs. Thomas S. Ragsdale. Conservation easements have been placed on the property to preserve the natural environment. Number of slaves  21 in 1827; 64 in 1850; about 100 in 1864 (3). In the early 1800s, Davison McDowell hired slaves from his mother Agnes Kirkpatrick. He considered Rose, Manza, Nero and Juno to be particularly valuable. So much so McDowell trusted Manza to direct the plantation's activities while he was ill (3, p. 351). A sales advertisement for the plantation in 1834 included the following buildings: dwelling house, barn, winnowing house, overseer's house, and dwellings to house up to 100 slaves (3, p. 352).